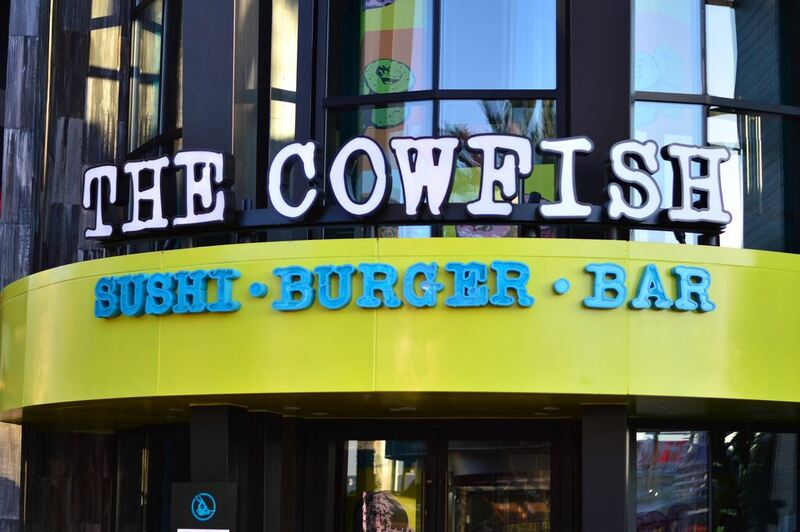 The Cowfish was the final piece of Universal CityWalk‘s 2014 renovation that brought eight new dining venues to the resort. 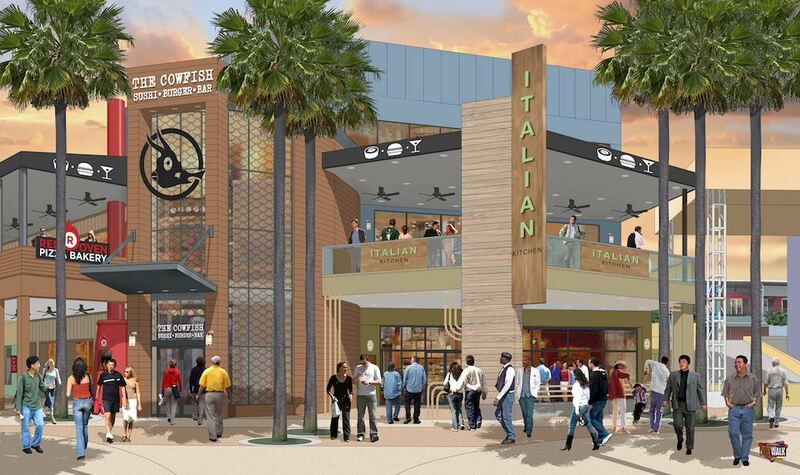 While Cowfish arrived last, it was possibly the most anticipated of CityWalk’s new locations from the minute they were all announced back in 2013. A one-of-kind dining concept that melds pan-Asian cuisine with the good ol’ American burger, Cowfish was bringing something completely unique to the table. We were initially nervous about the fusion of a burger joint and a sushi place, because it just seemed too out there. But it turns out that the folks behind this tiny North Carolina-based chain are really on to something: like peanut butter and chocolate, The Cowfish's burgers and sushi both taste great, and taste great together. 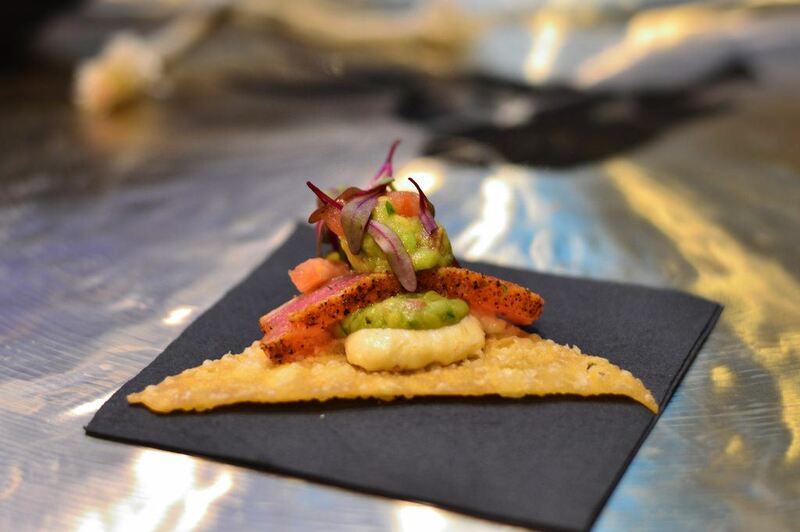 The voluminous menu starts with familiar sounding appetizers, like Parmesan truffle fries, tuna nachos, and expertly prepared and presented in generous portions (a recurring theme). Next comes an extensive list of half-pound hormone-free hamburgers, with names like the “Jalapeno Popper Show-Stopper,” “Big Squeal,” and “Rise & Swine”; veggie and turkey burgers are also available, and all are served with seasoned fries, which can be substituted with seaweed salad, bacon coleslaw, or edamame. 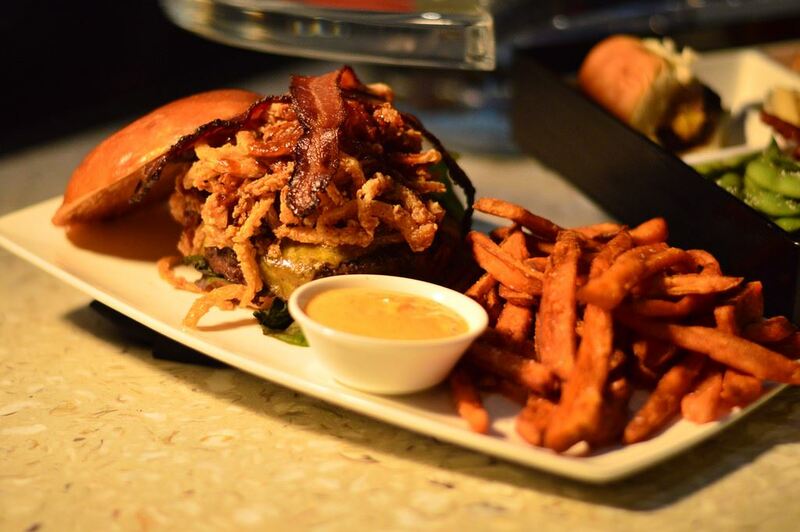 The Boursin Bacon Burger, with garlic herb cheese and sauteed mushrooms, is a standout. Traditional sushi selections range from chef combos of sashimi and nigiri, classic makimono rolls, and fusion specialties stuffed with tuna, coconut shrimp, shiitake mushrooms, or crabmeat; the premium tuna and salmon on Jen's Fresh Find roll was particularly flavorful. 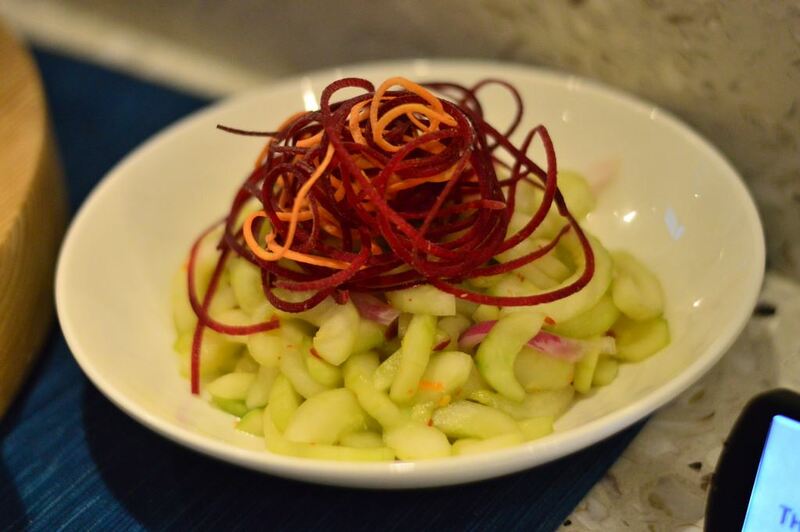 Finally, we arrive at the creative center of Cowfish's menu: the burgushi. 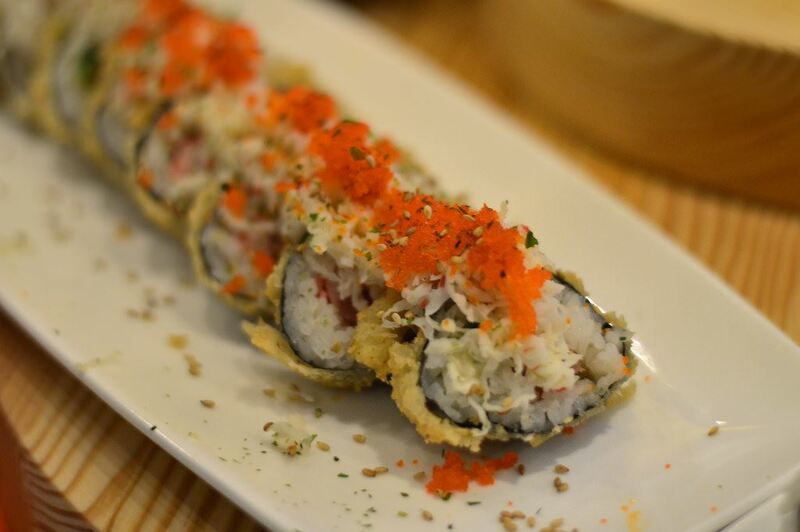 You can try a sushi roll made with lobster and filet mignon (“The Prime Time”), bison and fried green tomatoes (“Buffaloooo-shi”), or pulled pork and BBQ sauce (“High Class Hillbilly”). On the flip side, “pick-ups” feature steak and pastrami or rare tuna, sandwiched between spring roll wrapper “buns” filled with sushi rice and kani (fake crab). Despite the bizarro pairing, all the ones we've sampled have been as delicious as they are odd, which is saying something; Doug's Filet roll (with ginger dipping sauce for the steak) is a safe bet. 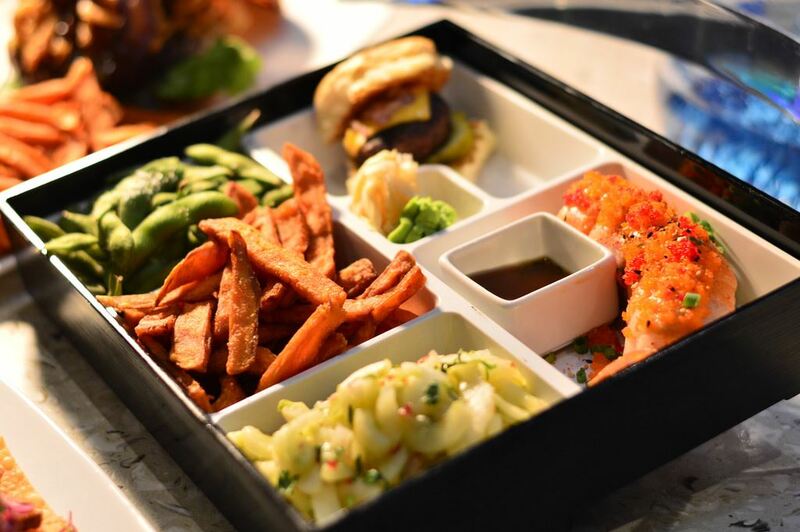 If you are still apprehensive, try a Bento Box, which brings a slider mini-burger, sushi roll, and several side dishes together on a Japanese TV-dinner tray. 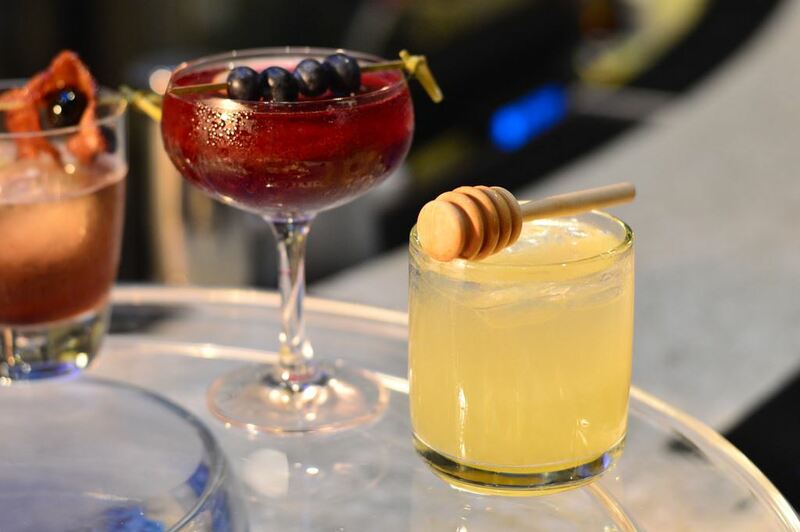 If you still can't stomach The Cowfish's burgushi concept, you can still take comfort in their extensive craft cocktail list, including a bourbon and candied bacon concoction, and old-fashioned “mules” made with ginger beer. 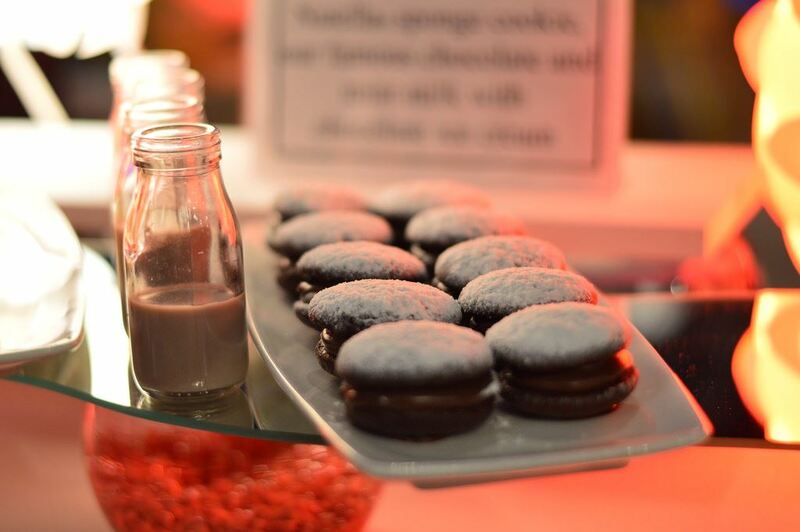 Hand-spun milkshakes (non-alcoholic or spiked) headline the dessert menu, which also features sushi-shaped pastries exclusive to the Orlando location. 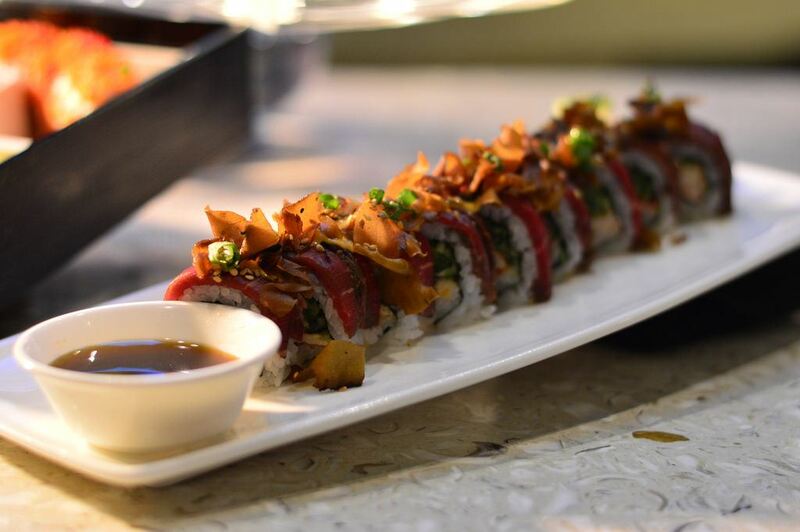 The Cowfish has quickly become one of our favorite dining venues in Orlando. 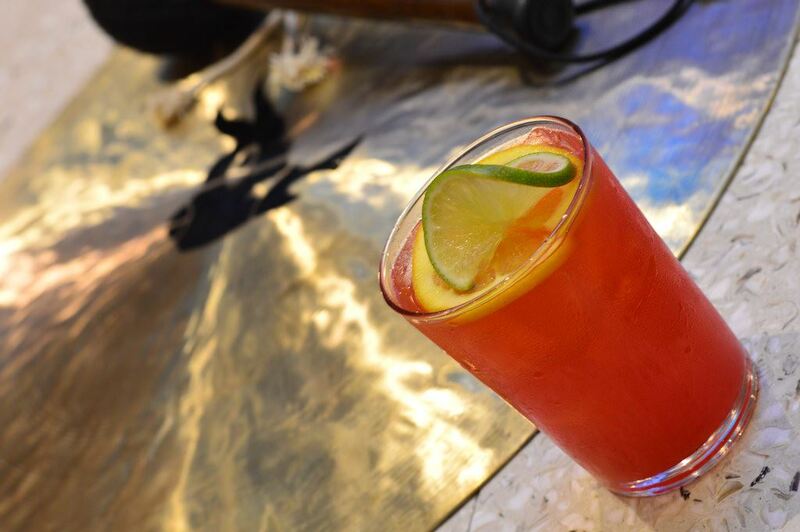 The menu is creative, the flavors are fantastic, and the drinks are worth going out of your way to try. We love the overall atmosphere, but the time that it takes for a meal to come out can be inexplicably long. Currently, the restaurant doesn't take reservations, and the wait can be long on a busy weekend, but the host will take your cell phone number when you check in, allowing them to text you when your table is ready. This is one of those ideas that makes you wonder why it’s not everywhere. There's also a free app for Apple and Android phones that will let you join the wait-list from anywhere within a half-mile of the restaurant; use it to check in while exiting a ride, but be sure to check in person once you arrive, since the app isn't prompt at letting you know your table is ready. A photo-op of this restaurant's mascot – a giant bug-eyed fish with a riding saddle on its back – should clue you in that this isn't the spot for stuffy food snobs. The Cowfish takes irreverent post-modernism and cranks it up to 11 with colorful pop art, larger-than-life displays (including Universal icon King Kong, and a noodle-filled fishbowl), and silly signage – be sure to check out the restrooms. Guests can enter though the small lobby on the ground floor, or the patio bar on the upper level; all seating – both indoors and outdoors – is on the second and third floor, offering spectacular views over CityWalk. Crab rangoon dip, blackened tuna nachos, salad, burgers, sushi and sashimi combos, traditional nigiri and makimono rolls, fusion and “burgushi” rolls and bento boxes, hand-spun milkshakes, specialty cocktails and spiked shakes. As unique a restaurant concept as you can find. The Cowfish combines a gourmet burger restaurant with a sushi bar, answering the call of many a sushi lover whose friends and family do not like - or even want to try - sushi. While the menu is robust with adventurous offerings, it is also family-friendly and fully customizable with an impressive list of add-ons and sides. Atmosphere bumps like touch-screens at the sushi bar that let guests create and drop a fish into the virtual fish tank is popular, as is the variety and creativity of the dishes offered. When to go Early afternoon or late evening.